Edward Christopher "Ed" Sheeran (born 17 February 1991) is an English singer-songwriter, actor, guitarist and record producer. He was born in Halifax, West Yorkshire, and raised in Framlingham, Suffolk. He attended the Academy of Contemporary Music in Guildford, Surrey, as an undergraduate from the age of 18 in autumn 2009. In early 2011, Sheeran independently released the extended play, No. 5 Collaborations Project, which caught the attention of Elton John and Jamie Foxx. After signing with Asylum Records, his debut album, + (read as "plus"), was released on 9 September 2011 and has since been certified seven-times platinum in the UK. The album contains the single "The A Team", which earned him the Ivor Novello Award for Best Song Musically and Lyrically. In 2012, Sheeran won the Brit Awards for Best British Male Solo Artist and British Breakthrough Act. His second studio album, x (read as "multiply"), was released on 23 June 2014. It peaked at number one in the UK and the US. In 2015, x won the Brit Award for Album of the Year, and he received the Ivor Novello Award for Songwriter of the Year. His single from x, "Thinking Out Loud", earned him two Grammy Awards at the 2016 ceremony: Song of the Year and Best Pop Solo Performance. As part of his world tour, Sheeran played three sold-out concerts at London's Wembley Stadium in July 2015, his biggest solo shows to date. Sheeran's third album, ÷ ("divide"), was released in March 2017. The album debuted at number one in the UK, the US and other major markets. 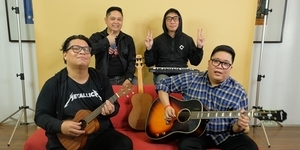 The first two singles from the album, "Shape of You" and "Castle on the Hill", were released in January 2017 and broke records in a number of countries, including the UK, Australia and Germany, by debuting in the top two positions of the charts. He also became the first artist to have two songs debut in the US top 10 in the same week. Sheeran appeared on Debrett's 2017 list of the most influential people in the UK. Sheeran was born in Halifax, West Yorkshire, and moved with his family to Framlingham in Suffolk when he was a child. He has an older brother named Matthew, who works as a composer. Their parents, John and Imogen, are London-born. His paternal grandparents were Irish, and Sheeran has stated his father hailed from a "very large" Catholic family. 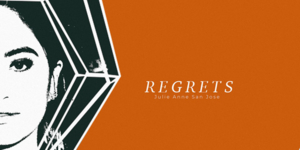 John is an art curator and lecturer, and Imogen is a culture publicist turned jewellery designer. His parents ran Sheeran Lock, an independent art consultancy, from 1990 to 2010. Their work usually took them to London, and they spent their weekends travelling with their children, while playing music. Sheeran's early childhood memories include listening to the records of Bob Dylan and Eric Clapton. According to Sheeran, the album that first introduced him to music was Van Morrison's Irish Heartbeat. During his childhood, John took him to a number of live concerts that would later inspire his musical creations. These included seeing Eric Clapton at the Royal Albert Hall, Paul McCartney in Birmingham, and Bob Dylan. 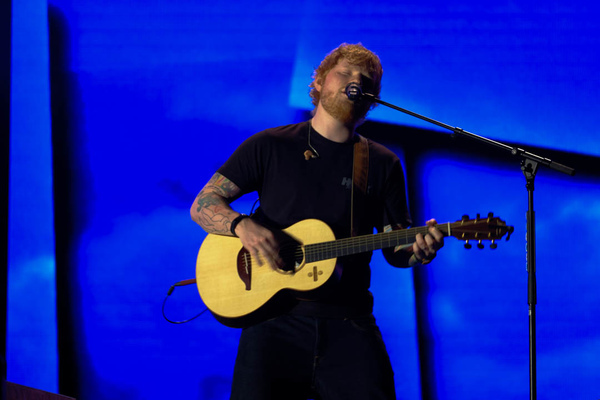 Sheeran sang in a local church choir from the age of four, learned to play the guitar at a very young age during his time at Rishworth School, and began writing songs while at Thomas Mills High School in Framlingham. When he was eleven, he went with his father to a Damien Rice show in Ireland. In addition to Rice, he has also cited The Beatles, Dylan, Nizlopi and Eminem as his biggest musical influences. He is a patron of the Youth Music Theatre UK and of Access to Music, where he studied Artist Development course. He was accepted at the National Youth Theatre in London as a teenager. In April 2010, Sheeran bought a ticket to Los Angeles, with no contacts other than one poetry night. He played open mic nights all over the city, before he was spotted at The Foxxhole by Jamie Foxx, who was so impressed that he offered Sheeran the use of his recording studio and the bed of his Hollywood home for the rest of his stay. Throughout 2010, Sheeran began to be seen by more people over the internet through YouTube and his fan-base grew, with him also getting credit from The Independent newspaper, England football captain Rio Ferdinand and Elton John. Sheeran also self-released two other EPs in 2010, Ed Sheeran: Live at the Bedford and Songs I Wrote with Amy, which is a collection of love songs he wrote in Wales with singer, Amy Wadge. On 26 April 2011, Sheeran appeared on the TV music show, Later... with Jools Holland, where he performed his debut single, "The A Team". 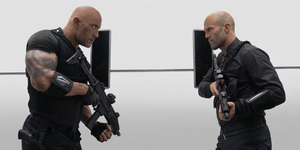 Six weeks later, "The A Team" was released as a digital download in the UK. 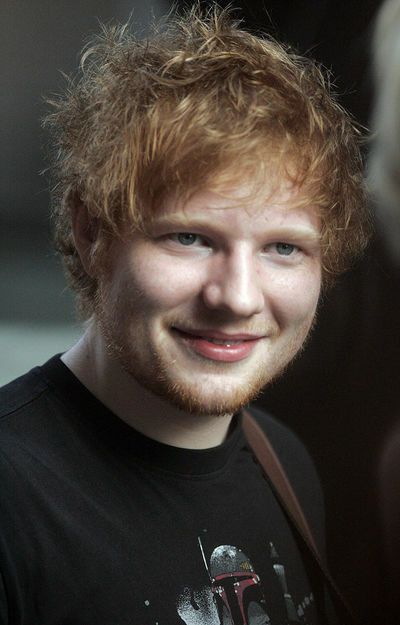 The release served as the lead single from Sheeran's debut studio album, + (read as "plus"). "The A Team" entered the UK Singles Chart at number three, selling over 58,000 copies in the first week. It was the best selling debut single and the overall eighth-best selling single of 2011, selling 801,000 copies. The lead single also became a top ten hit in Australia, Germany, Ireland, Japan, Luxembourg, New Zealand, Norway and the Netherlands. During a headline set in the BBC Introducing tent at Glastonbury Festival 2011, Sheeran announced that "You Need Me, I Don't Need You" would be released on 26 August as the second single from the album. The second single peaked at number four on the UK Singles Chart. "Lego House" was released as the third single, reaching the top ten on Australian, Irish, Scottish, New Zealand Singles Charts, Flemish Ultratop 50 and the Wallonian Ultratip. 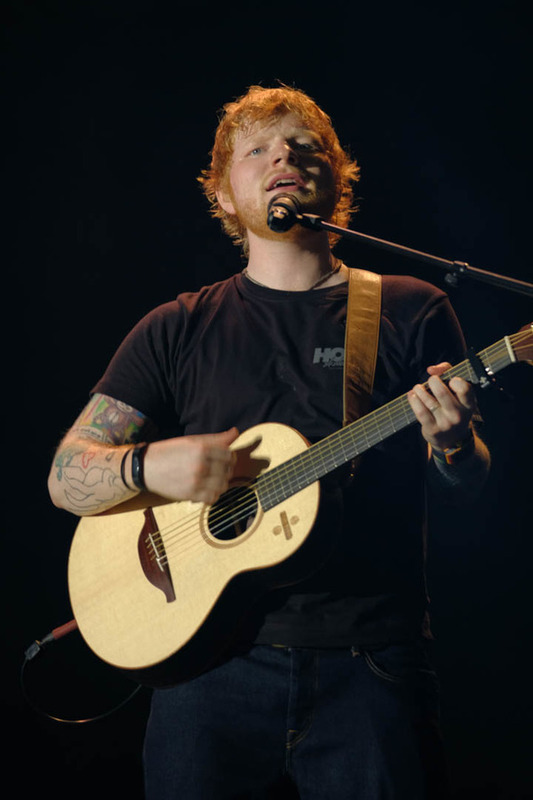 "Drunk", released on 19 February 2012, became Sheeran's fourth consecutive top ten single in the UK, peaking at number nine. The song, "Moments", on the debut album by boy band One Direction, released in November 2011, was co-written by Sheeran. 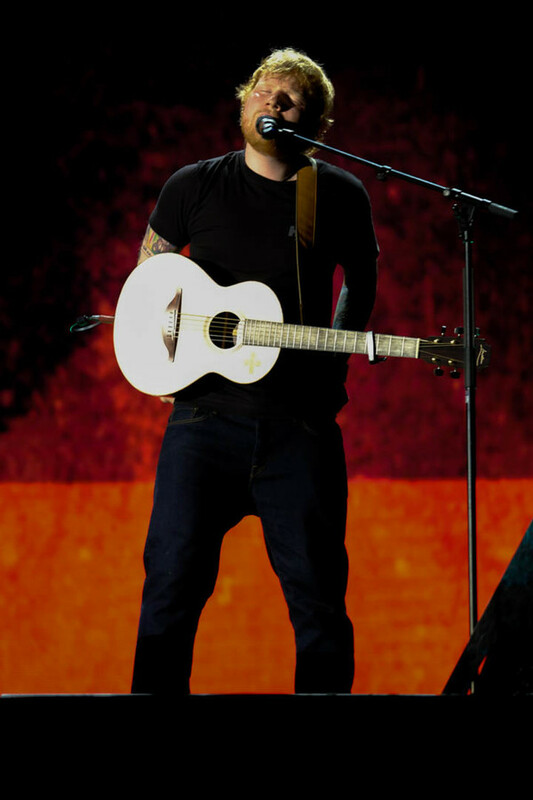 On 21 February, at the 2012 Brit Awards, Sheeran won the Brit Awards for Best British Male Solo Artist, and British Breakthrough Act of the Year. 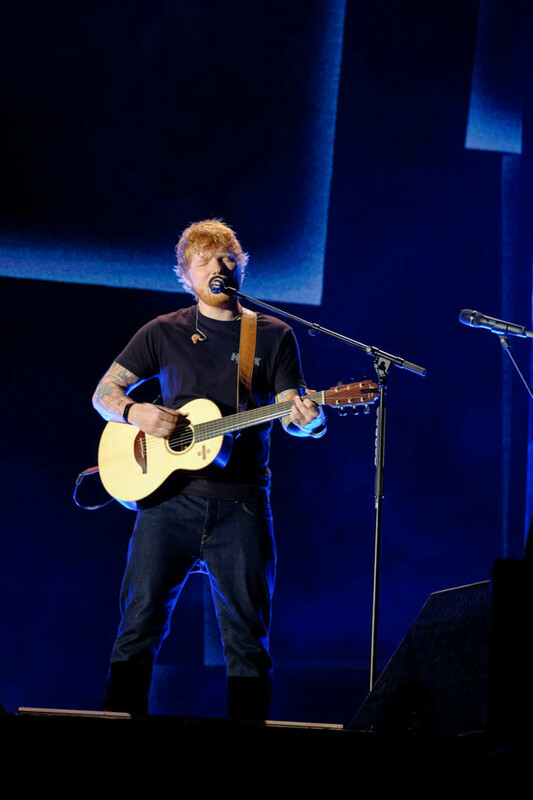 On 10 January 2012, it was announced that Sheeran would support Snow Patrol on their United States tour from late March until May on the band's Fallen Empires Tour. His song, "Give Me Love", was featured in the episode "Dangerous Liaisons" of The Vampire Diaries. It was also featured in the 12 February 2013 episode of the sitcom Cougar Town (TBS). At the Ivor Novello Awards in May 2012, Sheeran's "The A Team" bested Adele's "Rolling in the Deep" and Florence and the Machine's "Shake It Out" for Best Song Musically and Lyrically. 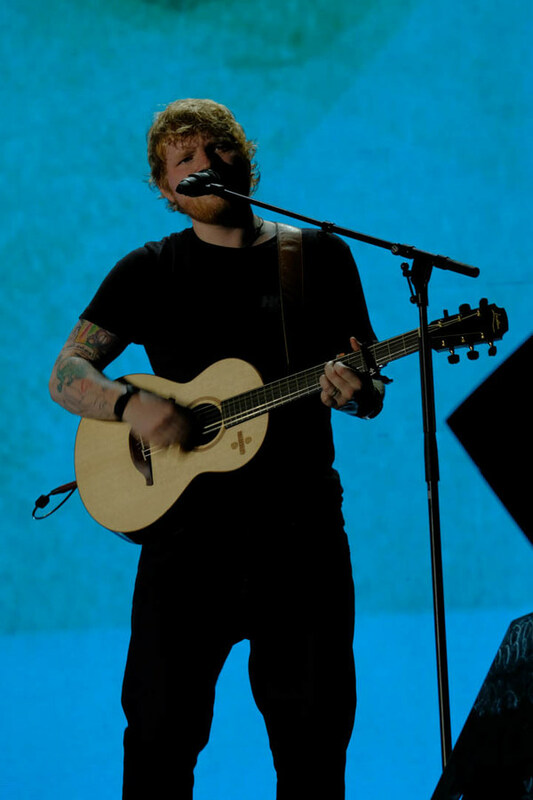 Sheeran performed "The A Team" at the Diamond Jubilee of Queen Elizabeth II concert held on The Mall outside Buckingham Palace on 4 June 2012 and a cover of Pink Floyd's "Wish You Were Here" at the closing ceremony of the 2012 Summer Olympics on 12 August 2012. Taylor Swift contacted Sheeran after hearing his music while touring Australia in March 2012. He later co-wrote and provided vocals for "Everything Has Changed", a single featured on Swift's fourth studio album, Red. Sheeran also contributed two songs to One Direction's second studio album, Take Me Home, released in November 2012; the single "Little Things" became the group's second number-one in the UK. Sheeran's album peaked at No. 5 on the Billboard 200, while "The A Team" reached No. 16 on the US Billboard Hot 100. In late 2012 and early 2013, he headlined a US tour of 6,000–9,000 capacity venues. "The A Team" received a nomination for Song of the Year at the 2013 Grammy Awards. Elton John, who runs Sheeran's management company, canvassed the award organisers to get Sheeran a performance slot at the ceremony but was told that Sheeran alone was not high-profile enough. John decided to appear with Sheeran to circumvent this problem. From March to September 2013, Sheeran played at arenas and stadiums across North America as the opening act for Swift's The Red Tour. According to Sheeran, it was then his biggest tour and added a scarlet RED tattoo to commemorate it. In October 2013, Sheeran headlined three sold-out shows at New York's Madison Square Garden, which has a capacity of 18,200. At the concert, Sheeran debuted few songs including "Tenerife Sea", a future track on his second studio album. Sheeran released "I See Fire" on 5 November 2013. The song is featured in the end credits of the film The Hobbit: The Desolation of Smaug, the film's soundtrack, and on the deluxe version of his second album. 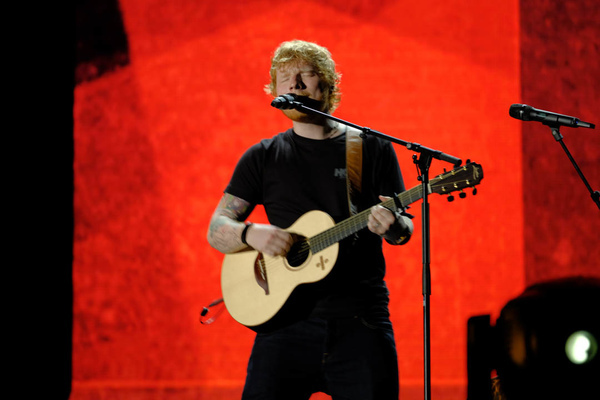 Sheeran was nominated for Best New Artist at the 2014 Grammy Awards. In early 2011, after securing recording and publishing deals, Sheeran purchased a farm near Framlingham, Suffolk, and had it renovated. He has stated that he hopes to raise a family there. He also bought a house in south London in early 2014. Sheeran lived between Hendersonville, Tennessee and Los Angeles for the duration of 2013. Sheeran is the second cousin of broadcaster Gordon Burns, who hosted the British game show The Krypton Factor. Sheeran was in a relationship with Scottish singer-songwriter, Nina Nesbitt (who was in his music video for "Drunk") in 2012, before breaking up. Nesbitt is the subject of Sheeran's songs, "Nina" and "Photograph", while most of Nesbitt's album, Peroxide, is about Sheeran. In January 2014, Sheeran was in a relationship with Athina Andrelos, who works for British chef, Jamie Oliver. She is the inspiration of Sheeran's song, "Thinking Out Loud". They broke up in February 2015. As of September 2015, Sheeran is with his former high school friend, Cherry Seaborn. In June 2015, Forbes listed his earnings at $57 million for the previous 12 months, and ranked him the 27th-highest-earning celebrity in the world. On 19 October 2015, Sheeran received an honorary degree from the University Campus Suffolk in Ipswich for his "outstanding contribution to music". Sheeran commented: "Suffolk is very much where I call home. Receiving this recognition is a real privilege." 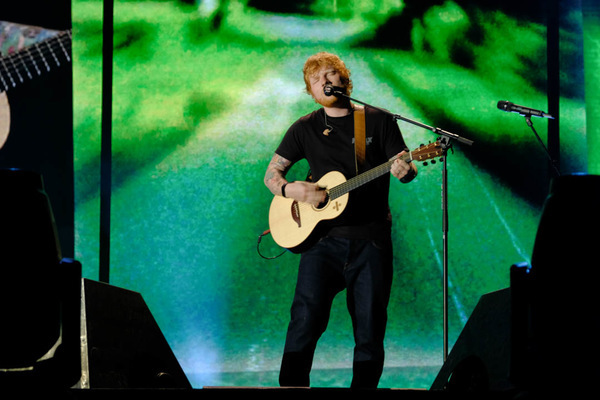 Here's What You Missed at Ed Sheeran's Show in Manila Last Night!